Did you know that a fortnightly cleaning service on a 3 bedroomed house can save you over 11 hours each month! and cleans to prepare your home for a special occasion. 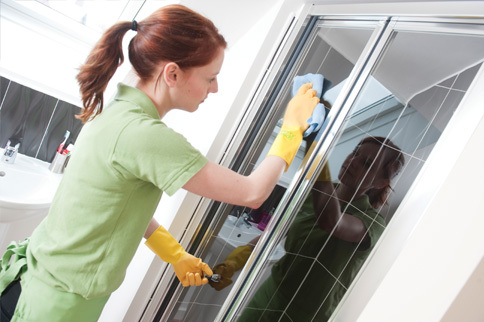 We pride ourselves on ensuring our customers receive a thorough clean each and every time. All our staff are reference checked, uniformed and we supply all our own cleaning products and equipment. For your peace of mind our staff are fully insured and compliant with health & safety procedures. Your local Merry Maids business is owned by Kevin and Anna Riley. They run a team that specialises in all aspects of domestic cleaning services in Southampton and have over 30 years combined experience in the cleaning industry. Anna owns the business and has over 15 years experience in the cleaning industry. She is both office based and carries out quotes on site for potential new customers and works on site managing jobs. 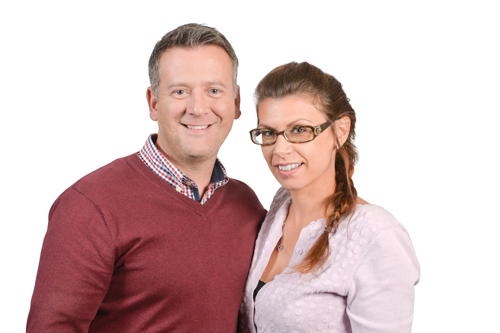 Kevin owns the business alongside Anna and is a fully qualified carpet and upholstery cleaning technician. He is based out on location with his team, managing jobs and carrying out carpet, upholstery and hard floor cleaning. Alison – our office manager who has over 12 years experience in the industry. Lyn – deals with all accounting matters. And our team of cleaners and technicians – Jane, Sinead, Kelly, Shiree, Emily, Katherine, Sammi, Tracy, Pete, Paul & Steve. We would like to welcome Tracy to our team of cleaners. Tracy started working with Merry Maids at the end of March and is enjoying meeting all our lovely customers! Why not treat yourself to a fresh clean home this Summer and with our fantastic offer of £25 off, there has never been a better time! *This offer entitles you to a £25 discount when you spend over £200 on a one-off spring clean, house move clean, end of tenancy clean, builders clean or special occasion clean. Available to new and existing customers. We will carry out a free carpet clean and deodorisation in a room of your choice when you recommend us to a family member of friend and they book a regular cleaning service with us. Available to previous and existing customers. We also offer many prize draws and special competitions whereby you can win anything from some Merry Maids gloves to a cleaner for a year! You’ll find details of all our fabulous special offers and prize draws on our Facebook page. What’s your current cleaning schedule? Are you a weekend cleaner spending hours every Saturday dusting and polishing or are you a 15 minutes a day type? This can help you determine what frequency you need i.e. weekly, fortnightly or monthly. Determine a budget. How much can you afford to spend each month on cleaning. Is weekly affordable or should you plan on fortnightly? What are your homes problem areas and are there other areas that don’t require as much attention? This information is useful when quoting so we can bespoke the quote to your individual home. Arrange a free no obligation on site quotation so we can discuss your requirements in more detail and put together a quote that fits your budget and requirements. Call our office on 02380 864422 / 01794 899177 to arrange a time convenient to you. Satisfaction guaranteed. If for any reason you are not satisfied with the cleaning service we have provided, all you have to do is contact your local Merry Maids office, within 24 hours of our visit, and explain the problem. We will be happy to return to your home at the earliest possible time to re-clean whatever it is that is in question at no additional cost. If you have any further questions or would like more information or would like to arrange your free no-obligation quote, please do not hesitate to call us on 023 8086 4422 / 01794 899177. Our Merry Maids professional domestic cleaning service in Southampton. We cover all of Southampton but also travel to surrounding areas such as Romsey, Hythe, Beaulieu, Dibden, Lyndhurst, Wellow, Whiteparish, Lockerley, North Baddesley, Fair Oak, Hedge End and Hamble. If you’re unsure whether we can travel to your location or if you have any other queries, give us a call on 02380 864422 or 01794 899177 and we’ll be happy to help. No-one wants to spend all their spare time cleaning their home. Thats our job! Our domestic cleaning services in Southampton give you back the time to concentrate on the things that you enjoy. We can carry out a regular cleaning service on a weekly, fortnightly or four weekly basis as required and we even supply all our own cleaning equipment and materials! For a free, no obligation quotation give us a call on 02380 864422 or 01794 899177. …then Merry Maids of Southampton can help. We know that each property is as different as the people that live there so we offer a bespoke quotation service, tailoring our work to your requirements. We are also able to provide oven cleaning and co-ordinate carpet cleaning where required. For a free no obligation quotation give us a call on 02380 864422 or 01794 899177. We are experienced at working with letting agents to help keep their clients and property owners happy. All too often property owners are faced with the hassle of redecoration and deep cleaning at the end of a tenancy in order to get their property back into a rentable state. We have designed our tenancy clean to provide you with the best possible service. Our cleaners know how important it is to leave the property as immaculately as possible whether people are moving in/out or selling a house. To enquire about booking a tenancy clean. We will be happy to provide you with a team of maids, using professional materials and equipment, always cleaning to a high standard, which we guarantee. Merry Maids often works as part of a tenancy agreement to regularly clean your clients’ properties keeping them clean and tidy for the duration of the agreement so that there are no end of tenancy surprises. Having your carpet cleaned every six to twelve months by Merry Maids Southampton will help you to prolong the life of your treasured carpet. On a daily basis your carpet is subject to more wear and tear than any other item in your home which can obviously affect its overall appearance. Merry Maids use specialist equipment and expertise to remove not only the dirt but shampoo residue and water from your carpet so that your carpets stay cleaner for longer. We can also deep clean rugs and help bring the original colours back to life. Our skilled technicians are trained to recognise, test and diagnose the best method of cleaning for your particular rug. We are able to provide a full rug cleaning service including collection from your home, deep cleaning, grooming, and tassle and whipping repairs. Your rug will then be wrapped and returned to its rightful place – in your home. 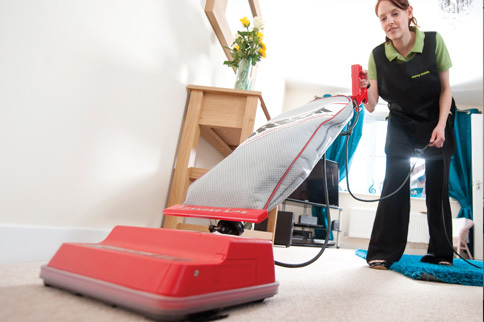 We have a range of carpet and rug cleaning systems to accommodate every situation. Are you a trustworthy, reliable, capable person looking for a part time job? Can you work as part of a team? Can you provide references as this will be required? This is a physically demanding job and you need to be an active and fit person. 2 weeks training and uniform is provided. Vacancies are available between 16-30 hours over 3, 4 or 5 days per week. Hours of work are Monday to Friday, 9am-4pm. We only work Monday – Friday so no weekends or evenings. We pay a good rate of mileage on top of your wages for any driving done. Your pay is monthly into your bank account. If you can answer yes to all of the above then please call us on 02380 864422 or 01794 899177. Speak to Anna (business owner) or Alison Wareham (office manager) to arrange an informal interview. Anti Spam Question: The capital of France? Merry Maids are doing a fantastic job. I don’t know how I did without them! May I take this opportunity to thank you and the ladies that do! It really is a great service and I always look forward to coming home when I know the house has been cleaned. I was really happy with what they did, I don’t think my shower has ever looked that clean! They are both far the best cleaners I have ever had, and I’ve had a few! You’re prices are very competitive as well. The cleaning was excellent thank you and the staff were friendly, cheerful and professional. We would definitely use the cleaning service again! I just wanted to give you some feedback about your Maids. They are a delight to have in my home, they are professional and clean to a very high standard. What I like most is they make our beds with fresh bedding as I cannot do this myself and it is lovely going to bed knowing I had these two lovely ladies make our beds for us. They are very kind and I don’t know what we would do without them. Please pass on to them our appreciation for their hard work. I booked Merry Maids to clean of our new house as the place was a mess. The quality of work was impeccable throughout and certainly worth the money. I would recommend them without hesitation. The Merry Maids came to give my carpets a one off clean once my building work was completed. What a difference! Clean, beautiful, fresh smelling carpets. Just like new! Thank you Merry Maids. A wonderful friendly service from all involved including the lovely lady who did the quote and the nice gentlemen who did the job. Highly reccomend the Merry Maids.